I’m partnering with the Book of the Month Club for an exciting giveaway for 5 winners to receive a FREE 3 month subscription! This is for US entrants only! To enter, follow myself @subscriptionboxgirl and @BookoftheMonth on Instagram, like the post and tag a friend in the comments! Final Girls by Riley Sager – Judge Liberty Hardy – The horror story of a soul survivor of a horror movie–scale massacre and becoming part of a ‘group’ of survivors, now the 5 survivors are starting to disappear… I have goosebumps already! Goodbye, Vitamin by Rachel Khong – Judge Isaac Fitzgerald – The story of a newly dis-engaged lady in her 30’s who returns home to take care of her father who has Alzheimer’s. American Fire by Monica Hesse – Judge Elizabeth Kiefer – The story of a town being destroyed by arson fires each and every night, at first regarding each other kindly, but turning against each other with suspense will change the town forever. 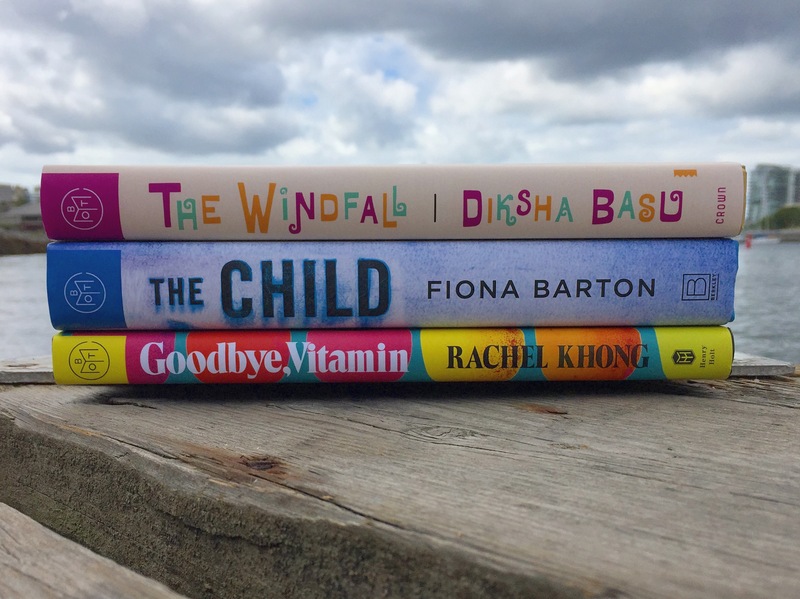 The Windfall by Diksha Basu – Judge Rachel Syme – The funny story of a family in India going from low income, coming into unexpected lump sum of money and then starting to live lavishly in East Dehli, setting off a chain of events in the family. The Child by Fiona Barton – Judge Cristina Arreola – After a property is demolished there is a corpse of a baby found, perhaps a baby that was stolen from a maternity ward decades early? Crazy!